‘Tis the season to eat yummy treats for breakfast! 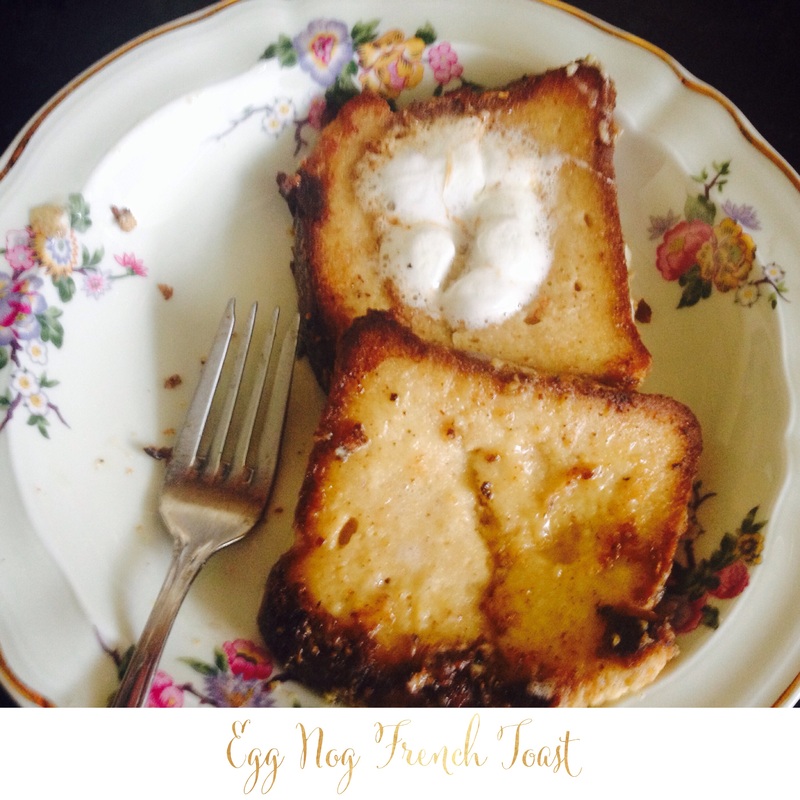 One of my besties sent me a recipe for Egg Nog French Toast on Pinterest. It sparked a whole new recipe. My version is dairy free and gluten free. This is a great item to serve at a North Pole Breakfast! I also added in some bonus ingredients: marshmallow and cinnamon. What you will need: 1 Egg, Cinnamon, Marshmallow, Egg Nog (Silk brand so dairy free and gluten free) gluten free bread and olive oil. Mix egg, egg nog and a sprinkle of cinnamon in a bowl. Fry egg nog coated bread slices in olive oil. Serve when slightly golden brown. ps- stay tuned for a post on how to make a north pole breakfast.